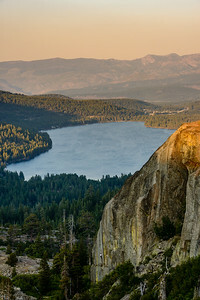 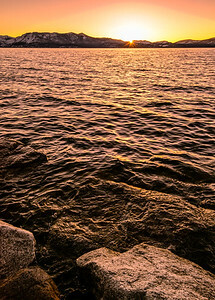 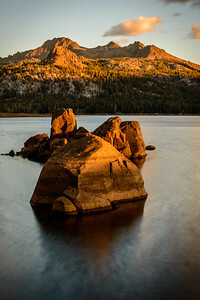 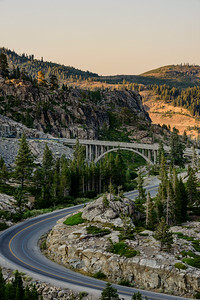 "There Won't Be Another Now"
The smoke from a distant forest fire adds a bit of color to the horizon of this view of Donner Lake as the sun begins it's descent. 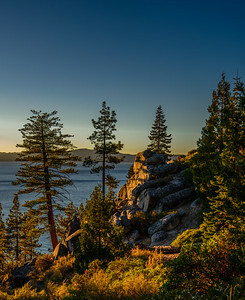 If you look closely, you can see a rock climber scaling the cliff which I chose to leave in the image to show a sense of scale. 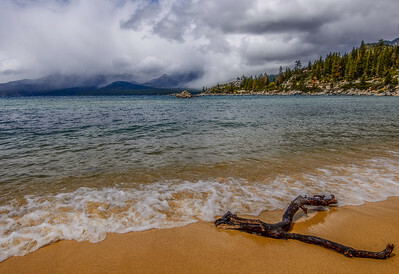 Whether I'm working in it or simply sitting in it with camera at the ready, waiting rather impatiently for it to pass I do from time to time curse the rain. 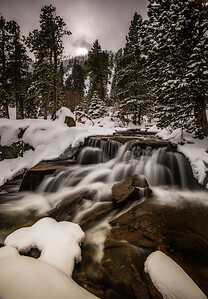 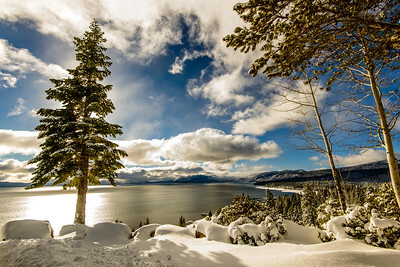 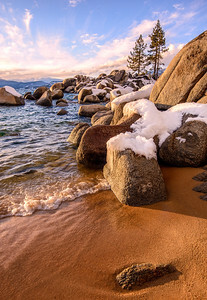 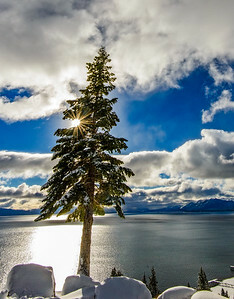 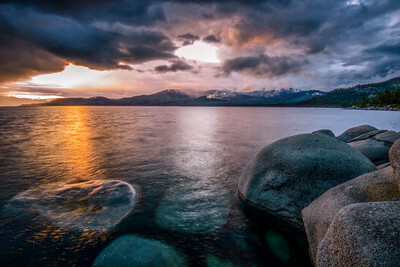 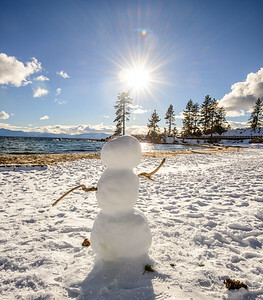 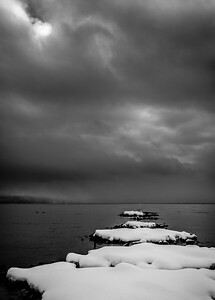 This year however, the rain & snow has been a blessing to Lake Tahoe. 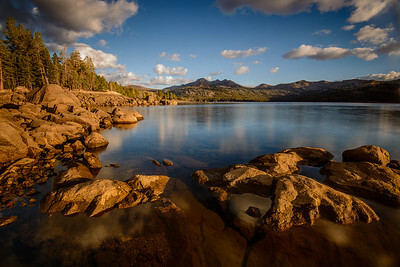 When I first visited the area last year the Lake appeared to be critically low. 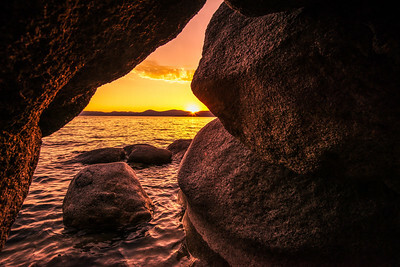 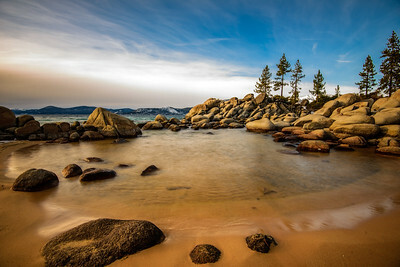 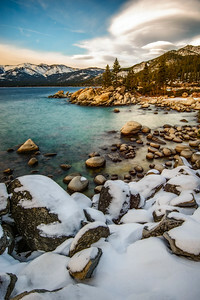 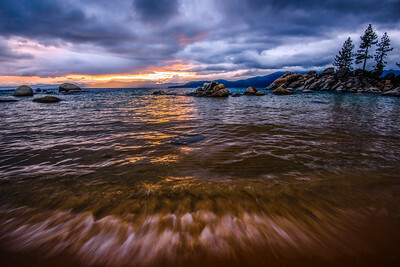 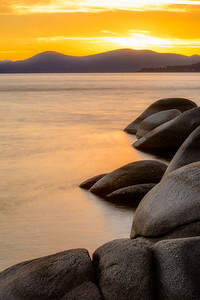 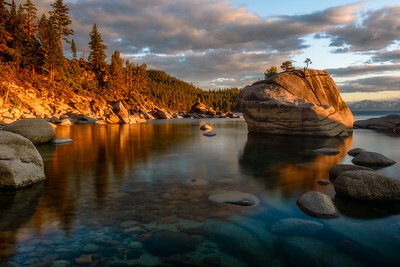 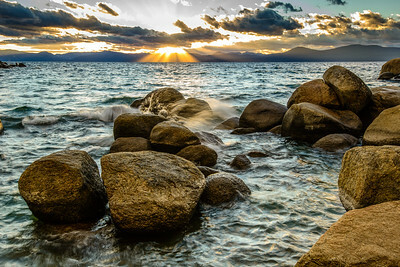 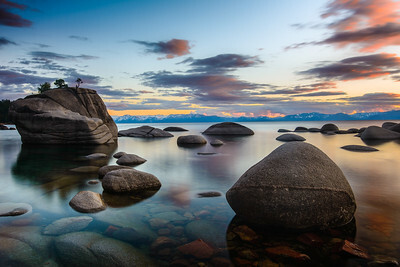 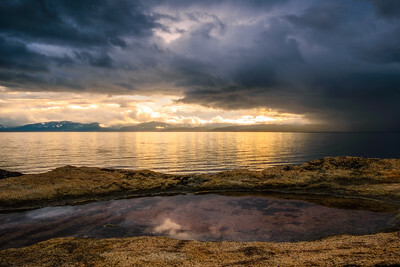 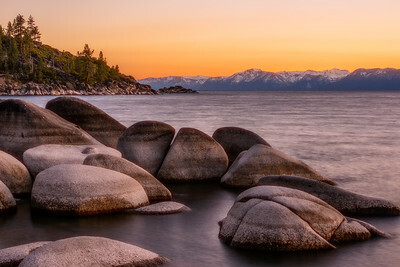 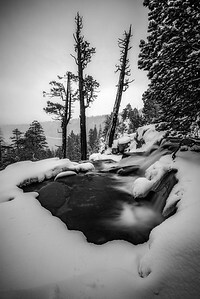 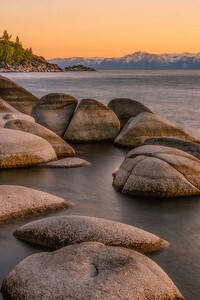 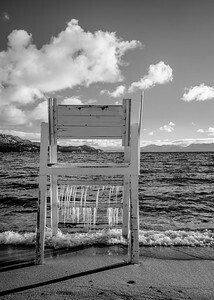 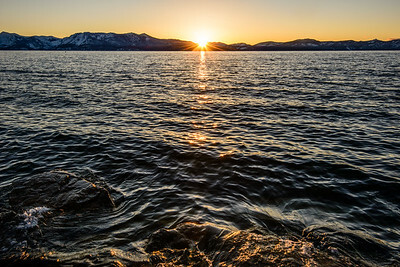 Although water levels are still low, I have read reports stating that water levels at Lake Tahoe has risen to near full capacity. 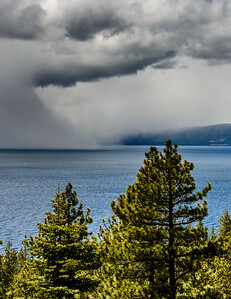 A pretty good sized storm making it's way across Lake Tahoe. 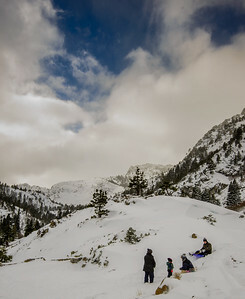 Although it was late May, this storm brought snow rather than rain. 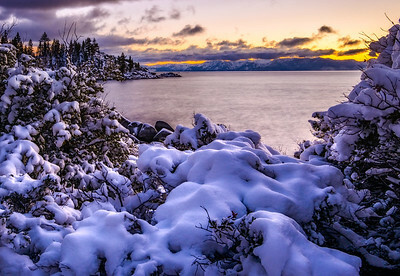 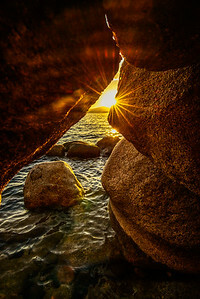 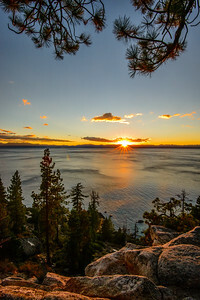 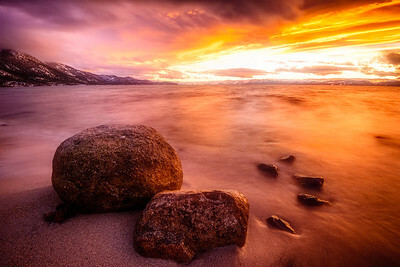 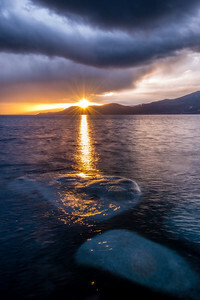 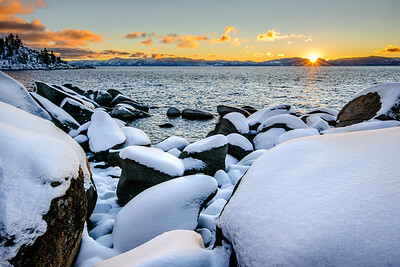 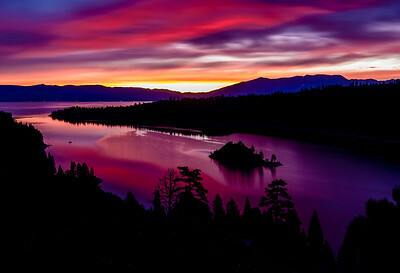 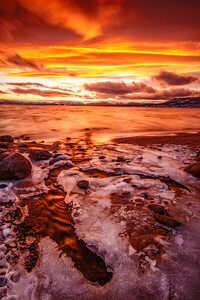 A frigid view of a vibrant sunset in Lake Tahoe.